Rolex watches are an investment for a lifetime of use. They can not only be a beautiful work of art, quality and technology but can also be a great store of value over time. Today, we are looking at how to take care of your Rolex watch. 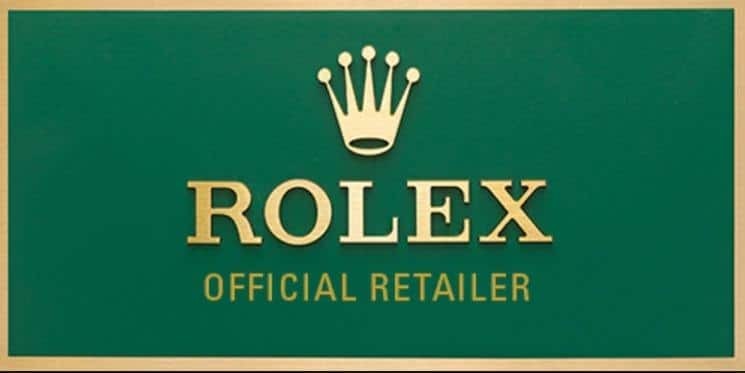 This guide is brought to you by Edwards, Lowell Malta, the only official representative and retailer of Rolex in Malta. When the watch is not being worn, it can be kept in the box or on a watch winder in a dry place. This is to prevent the watch from humidity and from dust. The watch should not be kept in a very hot and humid atmosphere since this might damage it over time. The watch should not be wound on the wrist. This is to avoid bending the winding stem. It is always important to remove the watch from your wrist and then wind it accordingly. To start the winding, unscrew the crown and wind it about 30 times. When finished, it is important to screw the crown back down to ensure waterproofness. Also bear in mind that shaking the watch has the same effect as winding from the crown. It is very important to wind the watch after it has stopped to build up a sufficient reserve of power after it has not been in use for some time. Rinse the watch well and gently pat the watch using a soft cotton cloth. After exposing the watch to sea or pool water, it is important to rinse the watch well to avoid corrosion of the metal bracelet. This will remove chlorine and salt water. It is not recommended to use the watch in saunas or hot baths since these affect the watch. Also, it is not recommended to wear any perfumes or body creams on the wrist since these chemicals might tarnish the colour of the watch and damage the strap (especially when the watch is yellow gold). To avoid further scratches and knocks on the bezel and on the crystal/glass, it is important to make sure that the size of the watch is a good fitting on the wrist. To ensure optimal performance of the watch, it is recommended to have it serviced after 5 years, depending on the condition and performance of the watch. The bracelet is detached from the watch case. The case is opened, and the movement removed. The case is then completely disassembled. The movement is dismantled, and each component is ultrasonically cleaned in specially formulated solutions. The same keen attention to detail that is devoted to servicing the movement of your Rolex also goes into servicing its case and bracelet. After the initial cleaning, the case and bracelet of your watch are closely examined, and any worn or damaged components replaced with genuine Rolex parts. Your case and bracelet are then expertly refinished and ultrasonically cleaned to restore lustre. The case is carefully reassembled, and all the seals replaced to guarantee waterproofness. Thank you for visiting the Edwards, Lowell website. We hope you found our guide on how to take care of your Rolex watch useful and informative. For more information about the current Rolex models in stock, please see our online Rolex collection.